Winner of her last three consecutive starts, Phipps Stable's Fly So High is not likely to make the Kentucky Oaks, reports drf.com. The 3-year-old daughter of Malibu Moon crossed the wire in front in Saturday's G2 Davona Dale Stakes, but jockey Jose Ortiz pulled her up shortly after the wire. After Fly So High was vanned back to her barn, she initially appeared to have escaped without injury. The following day, trainer Shug McGaughey ordered an ultrasound on the filly to double check, and it revealed an upper suspensory injury. 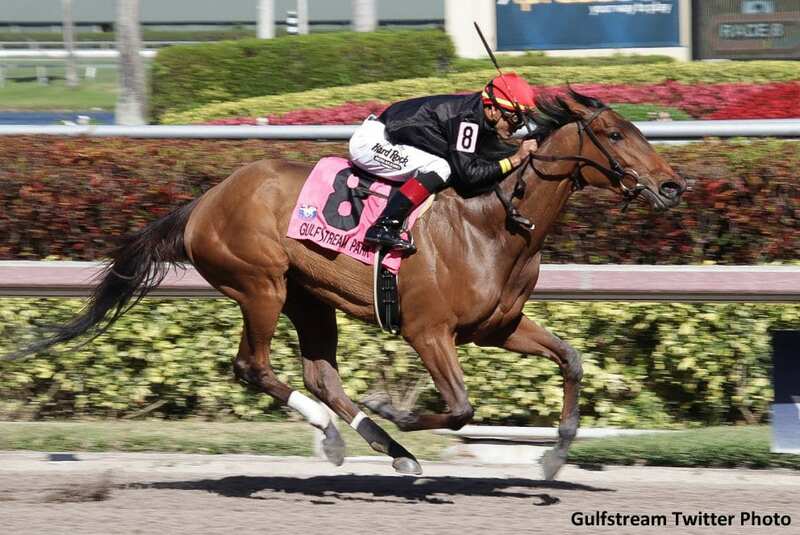 This entry was posted in NL Article, Racing and tagged Davona Dale, Davona Dale Stakes, Fly So High, gulfstream park, jose ortiz, kentucky oaks, malibu moon, ocala, payson park, Phipps Stable, shug mcgaughey by Paulick Report Staff. Bookmark the permalink.